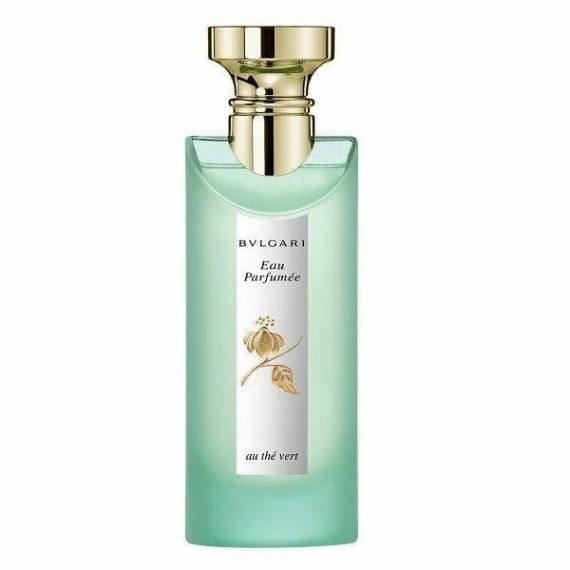 Bvlgari Eau Parfumee Au the Vert by the House of Bvlgari is a unisex luxurious Eau de Cologne. The head notes are Italian Bergamot and Green Pepper. The heart notes are Green Tea Accord and Cardamom and the base notes are Beeswax and Tonka Bean. The predominant note is Green Tea and the scent has moderate longevity. It is inspired by the bright and exclusive Japanese Green Tea. The perfume was launched in 1992 and is available in a 75ml & 150ml long and clear green bottle with a golden cap. Staff Review* Bvlgari, as many of us are aware, are one of the top luxury brands in the world. The iconic italian house produce the finest premium goods in serveral different sectors and their fragrance lines are key players in the global market. This unsiex scent, whose bottle is a perfect visual representation of how it smells, is a light delicate citrus based scent. With notes of basil, coriander, sandalwood and cedar, its these woody and herbal notes that accompany the citrus ones which lend themselves perectly to making this one of the best unisex colognes on the market. So free up some space on the vanity and give a unisex fragrance a try when next shopping for a new smell, you wont regret it.